Who said practical storage had to be boring? 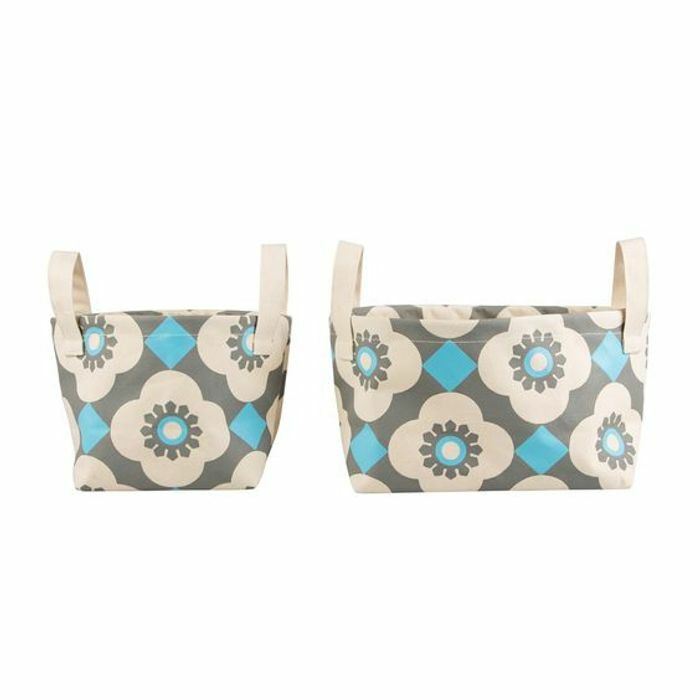 This set of two baskets from the Mediterranean Mosaic collection is stylish and functional. One basket is bigger than the other and they both have handles, a handy feature! Each basket features a wipeable fabric inside which is perfect for protecting against spillages.